Which pitcher is having the worst postseason 2014? I threw out a question onto twitter: Who had the worst postseason 2014? C.J. Wilson (40.50 ERA)? Hmm, probably Joba Chamberlain (108.00 ERA). Can anyone top that? Ácbéam offered a few names: Hunter Strickland is 8.53 over 6 1/3 IP in 7 appearances. Wilson and Chamerlain’s ERA are inflated due to hellaciously bad outings (and not even a full inning pitched), but at least Shield and Strickland are in the World Series. How bad of a postseason can you really have when you are in the World Series? Any other contenders I should add for consideration? 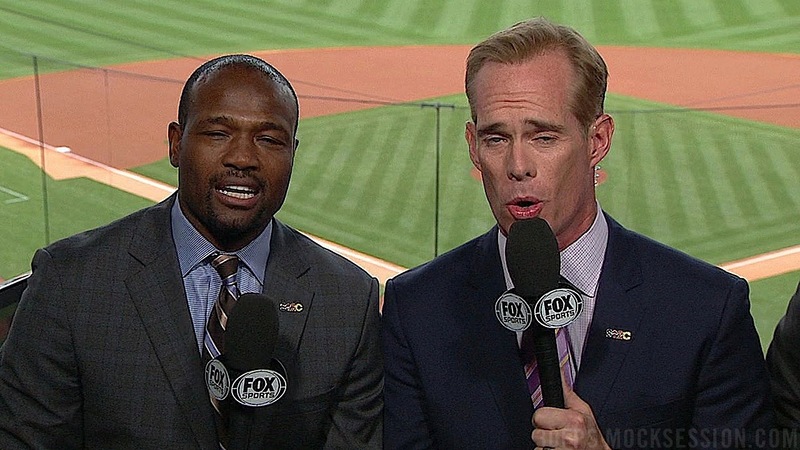 Who is more annoying: Joe Buck or Harold Reynolds? This is not my image. Photo found via google. If you’ve been watching the postseason there’s a good chance you’ve been annoyed by the “announcing.” It turns out that fans all across the nation have had their fair share of eye rolling moments this October. Cast your vote, which announcer is more annoying? And no, Shooty Babitt isn’t an option. If listening to this broadcast becomes too painful for you, I suggest trying a few of my World Series drinking game rules. Depends on which ones mouth is moving. Reynolds, solely because Buck has been so bad for years I feel like it’s easy to tune him out at this point. can’t it be both? Why can’t it be both?? I take baseball and hydration very seriously, therefore I comprised a list of World Series drinking game rules. There are more elaborate “games” out there but the beauty of mine is the simplicity. Grab your gallon of water and enjoy. @TheKings_Slayer Every time the Giants score a run without needing a hit, kill your drink. Of water. @amoscaret for each Royals walk and for each Giants K take a sip. @itsthemizzark take a shot every time they mention the 8th inning of the WC game against the A’s. @TheBrakeDown Also calling James Shields Big Game James. @SoulPoet you’ve got to do something with all that dynasty vs destiny crap. Tweet me any rule suggestions you have, or leave a comment here. I’m sure we’ll be adding to this list throughout the Fall Classic. And as always, drink your water responsibly! What are you favorite moments of the A’s 2014 Season? While many of us are still angry, disappointed or grieving from a painful loss to end our season, let us look back at the positive moments. Yes, the season didn’t end how any of us would have wanted but there were plenty of great moments this season. While I ponder my personal favorites, I’d love to hear yours. What were the highlights, your favorite games or memories? How many games did you make it to? Feel free to leave a comment here, or reach out to me on Twitter. Hi everyone, I’m Jennifer Trumpp and this is my new personal blog. I am a fan first and foremost, and a writer second. 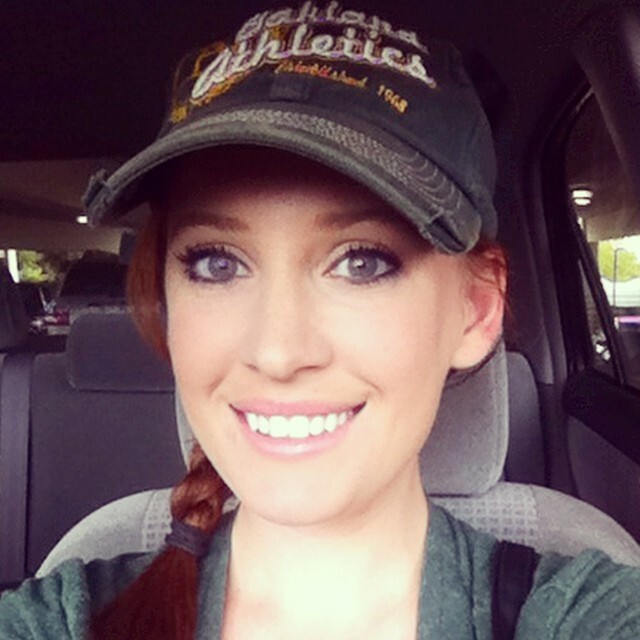 I’ve been an A’s fan as long as I can remember. My parents are both A’s fans and I grew up loving all things green and gold. That green collar love has continued throughout my life and I am now a staff writer at SwinginAs.com (you can find my personal page here). I also make guest appearances on the Swingin’ A’s podcasts. My Swingin’ A’s articles discuss trades, trade rumors, analysis, game previews…etc. This blog will hopefully be more fan oriented. This blog is where I hope to discuss everything from the joys and stresses of being an A’s fan, personal stories, adventures at the Coliseum, various ballparks, Arizona Fall League, Spring Training and beyond. Feel free to find me on Twitter, where you’ll see that I’m almost perpetually talking about the A’s, baseball or sports in general. Baseball, and the A’s especially, are my biggest passion.